While many fashionistas only whip out their boot collection during the chilly months, there are plenty of styles that can be added to our year-round wardrobe! Booties are great for spring once the temperatures warm up a bit, so we’re always on the hunt for designs that can transition through the seasons. We’re also in need of a style that’s equal parts versatile and trendy. Comfort is also key, so a major plus would be an offering that has a low heel for seamless wear. While we have spotted quite a few picks that have come close to making the cut, once we set our sights on these booties, we were immediately sold! See It: Grab the Dolce Vita Tucker boot at Zappos for up to 40 percent off starting at $60 in multiple colors. Not quite your style? 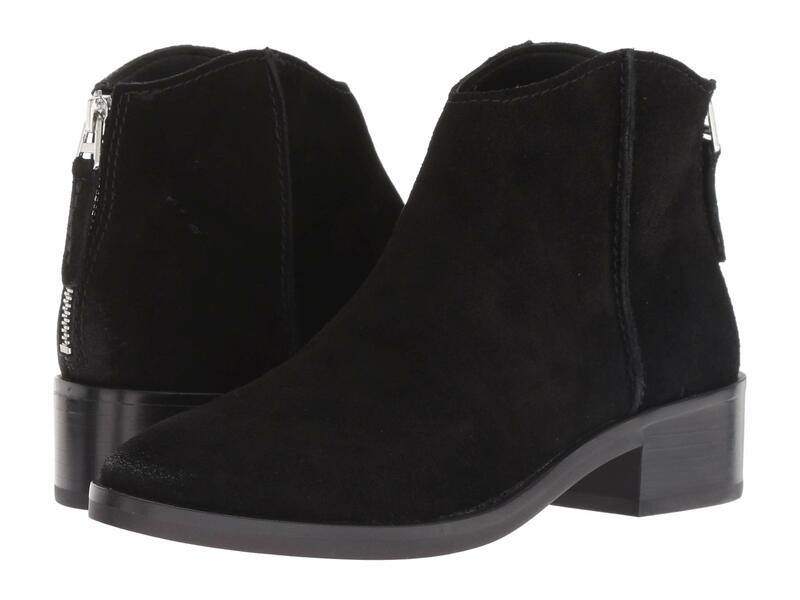 Check out other boot styles at Zappos today! 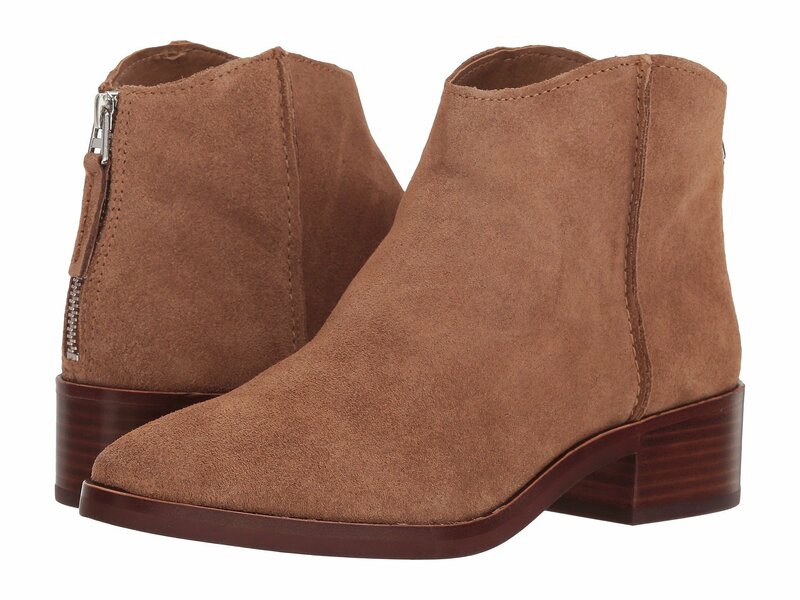 The Dolce Vita Tucker boot is an absolute must-have! Made with a suede leather upper, this construction provides a polished, yet refined style for a winning look. Perfect for our work to weekend wardrobe, these will score major wear miles. Staying true to effortless minimalism, these boots have a streamlined construction that will make a great finishing touch to any look. With a block heel coming in at just over an inch, we like that we can wear these shoes all day long without the fear of sore feet. We also dig that the 4-inch shaft stops just above the ankle for a breathable fit. Our favorite detail? The lightly padded footbed! 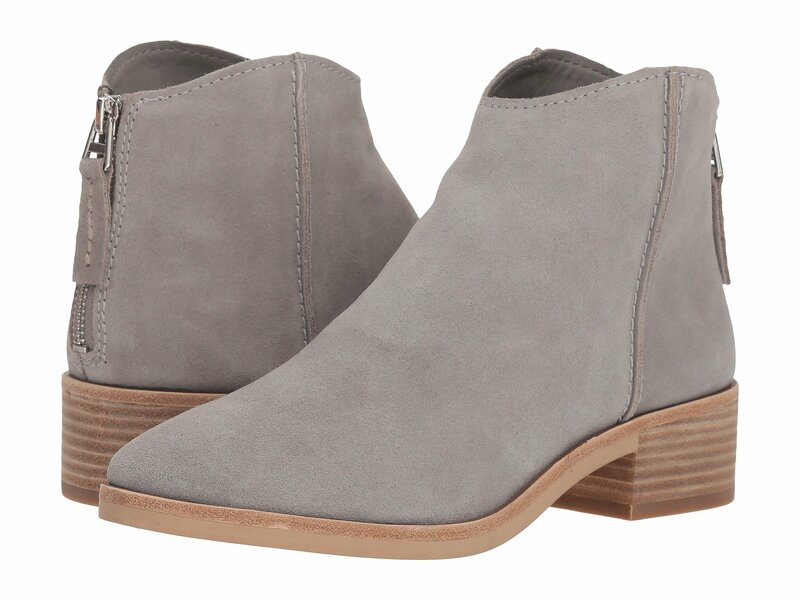 A great feature that will give our feet an extra layer of comfort, these booties will become our go-to pair. There is also an almond-toe silhouette that’s a step away from being a pointed-toe, but still effortlessly chic. Complete with a back zip closure that allows Us to take these shoes off and on with ease, this essential is perfect in every way. We are in love with the dark saddle suede style! A stylish earthy tone that will mix and match well with our all-season wardrobe, we already have a ton of looks in mind. For an ensemble that can go from desk to drinks, we can slip on a mididress, moto leather jacket and a cross-body bag for an instant style win. We can even switch it up with a leather pleated skirt, a graphic t-shirt, a boyfriend blazer, a cross-body bag and the brown leather pair for a trendy touch. We can also opt for the dark taupe suede style for days when we’re looking for a muted tone. This pair would look great with boyfriend jeans, a V-neck tee, a top coat and a tote bag to run errands in style. Opting for a date night look? Trade in your denim for a bodycon dress, a suede coat, a clutch and the smoke suede style for a chic outfit. For those who love a classic hue, the onyx suede, black leather and anthracite suede options are great choices. After all, you can never go wrong with scooping up a black design to wear with black skinnies, a dark-hued velvet top, a basic tee and a red hobo bag for a stylish statement. Normally retailing for up to $150, we were elated to see that we can enjoy a cool markdown at up to 40 percent off, leaving Us with the starting price of $60! Now, that’s what we call a sweet deal! Zappos shoppers can’t stop singing their praises, too. Many reviewers love that there is no break-in time needed, while others like that they pair well with ankle-cut jeans. Shoppers also like that they look way more expensive than the price tag, while others appreciate that you can walk around in these shoes all day without any discomfort. Dubbed as a great style to wear to work and around town, this pair is worth adding to our collection. Many reviewers recommend ordering a half size up for extra room. Keep in mind, if you fall between sizes, some shoppers suggest ordering up because the smaller option may be to too tight on your feet. Sizes 5.5 to 11 are currently up for grabs! We love adding versatile essentials to our closet and this offering is nothing short of perfect. If you’re ready to give your new year wardrobe a stylish addition, now is the time to add this style to your cart!